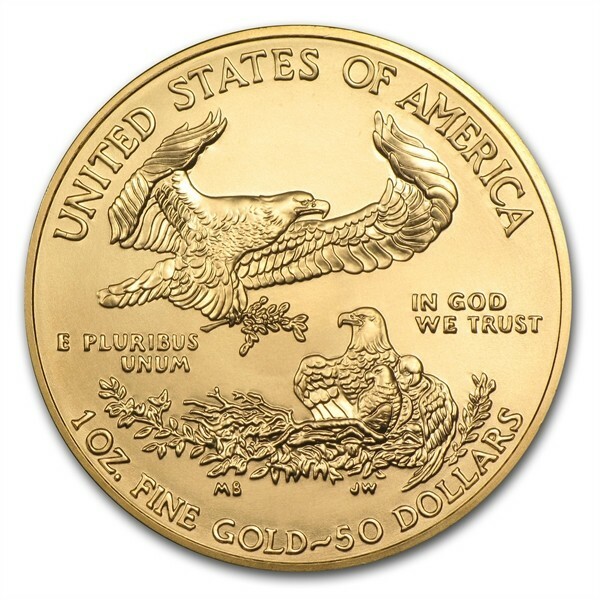 Gold Eagles - Since its introduction in 1986, the Gold American Eagle coin has been in high demand every year. Today, the modern Gold Eagles are a whisper of history as they showcase the design that made its first appearance in American coinage in 1907. 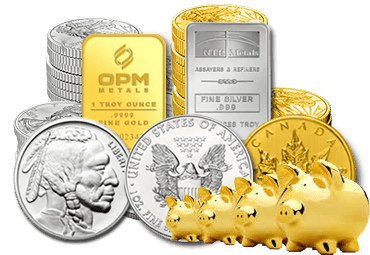 Because these American Eagles are a perfect addition for any investor or numismatic collector, they are the most popular Gold coin from the U.S. Mint. 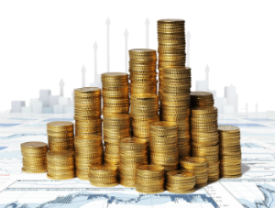 As Gold bullion, they always hold value making them easy to sell, buy and trade. 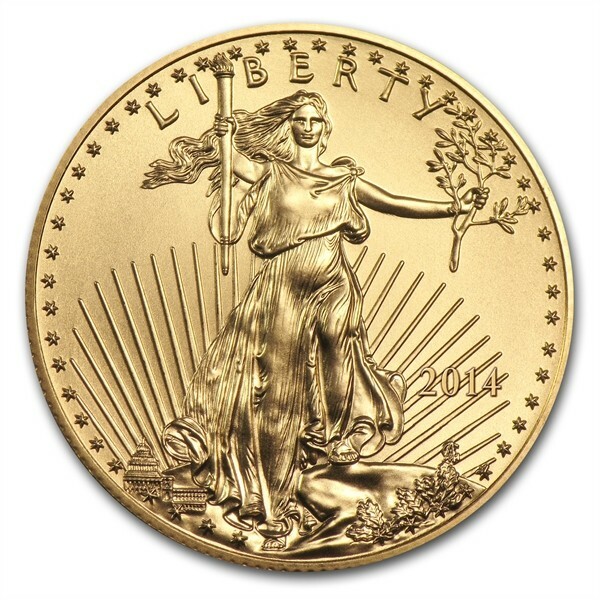 The obverse of the Gold Eagle is adapted from Augustus Saint-Gaudens’ famed Gold Double Eagle design of 1907, often regarded as the most beautiful design in American coinage. The design features Lady Liberty walking confidently against the sun’s rays, carrying a torch and an olive branch. The reverse of the coin is equally beautiful, showing a male bald eagle in flight carrying an olive branch to his nest, where a female awaits with her young.